Can 'Guacho' outrun 3,000 soldiers from both Colombia and Ecuador? Can ‘Guacho’ outrun 3,000 soldiers from both Colombia and Ecuador? Colombia and Ecuador have deployed 3,000 soldiers in a joint attempt to find “Guacho,” the allegedly injured FARC dissident leader who is wanted in both countries. The Ecuadorean leader of the so-called Oliver Sinisterra Front (FOS) was “seriously injured” by a Colombian army sniper on Saturday, according to President Ivan Duque. Despite his alleged injuries, the FARC dissident leader was able to escape before security forces reached the location where they believed Guacho was hit by two army sniper’s bullets. According to newspaper El Tiempo, Colombia’s security forces have deployed 2,000 soldiers in the manhunt for “Guacho.” Ecuador has reportedly deployed 1,000 soldiers to prevent the FOS leader to escape to the neighboring country. The stakes for both countries are high; “Guacho” has been one of the most violent former FARC members who abandoned the peace process and controls an important part of Colombia’s drug trade. The FOS leader became the most wanted man in Ecuador after kidnapping and killing five people, including two journalists earlier this year. 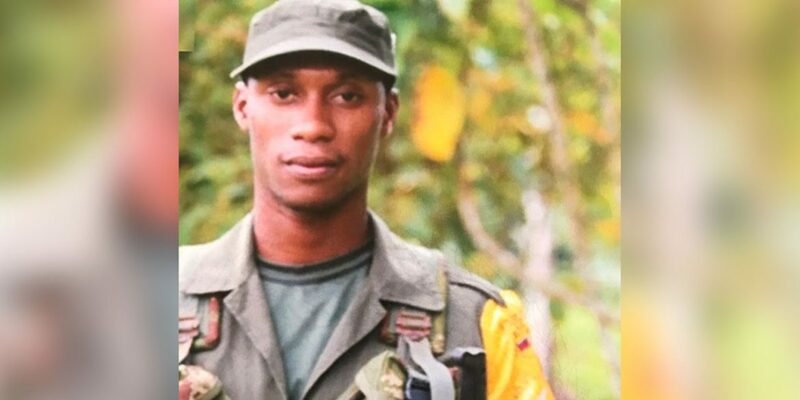 But the manhunt of the two countries’ security forces is taking place on Guacho’s turf; he was born in a small fishing village just across the Ecuadorean border and spent 10 years in the jungle border region as a member of the FARC’s regional unit. Authorities are not even certain whether Guacho is still alive or has died of his injuries, and will not know unless they find him or his remains. On social media, a video showing the alleged corpse of Guacho. Military sources told Blu Radio the claims made in the video are false and the FOS leader could still be alive. “We have gathered intelligence indicating that ‘Guacho’s’ men would be asking for some special medicine and medical attention in Tumaco,” vice-admiral Orlando Romero of the Colombian navy told El Tiempo, indicating that one of Colombia’s most wanted men could still be alive and on the run.